The flirt of fresh flowers, the sheen of silver. 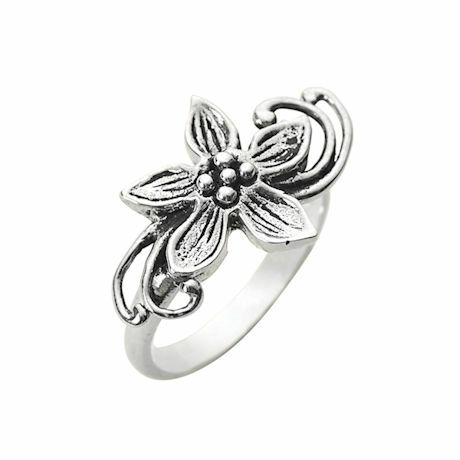 Handcrafted in sterling by skilled jewelry artisans, our floral ring is playful with exceptionally dimensional details. Whole sizes 6-10. Pairs beautifully with LF6286 Flower Dancer Earrings. Sold Separately.